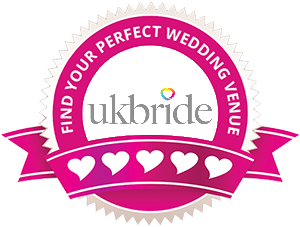 Your choice of flowers is one of the main talking points of any wedding, There’s so much choice and so many styles, it can be hard to know where to begin. We’ve rounded up some of our favourites with a few tips to help you on your way to choosing your beautiful blooms. This year, green foliage is still big news for wedding flowers following on from Pantone’s colour of the year 2017 – greenery and the 2018 Royal Wedding. Just as St George’s Chapel in Windsor was dressed with green foliage, white garden roses, foxgloves and peonies, you too can opt for the same stunning green and white combination although obviously on a smaller scale and to suit your budget. This combination of natural greens with paper-white flowers is the hottest look around, according to top flower designers and florists. The whole natural look can also be captured in one of the season’s other big looks; meadow flowers. The key to a ‘meadow’ bouquet is to ask for light and textured foliage combined with lots of small florals and buds with just a few bolder blooms to stand out. Pastel shades such as soft pinks, lilacs and creams will continue to be popular to create a real feeling of romance and traditional English Garden. 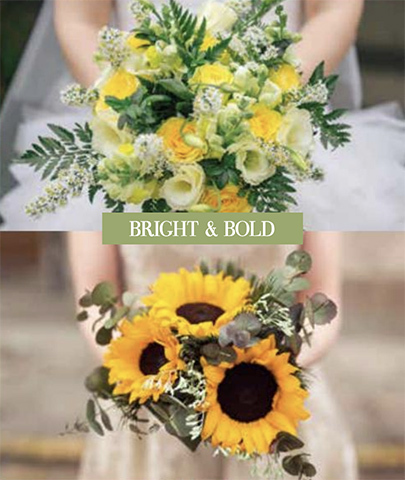 Your choice of flowers can often depend on the time of year. Choosing flowers that are in season can often be best for your budget as out of season flowers will be much more difficult to source. 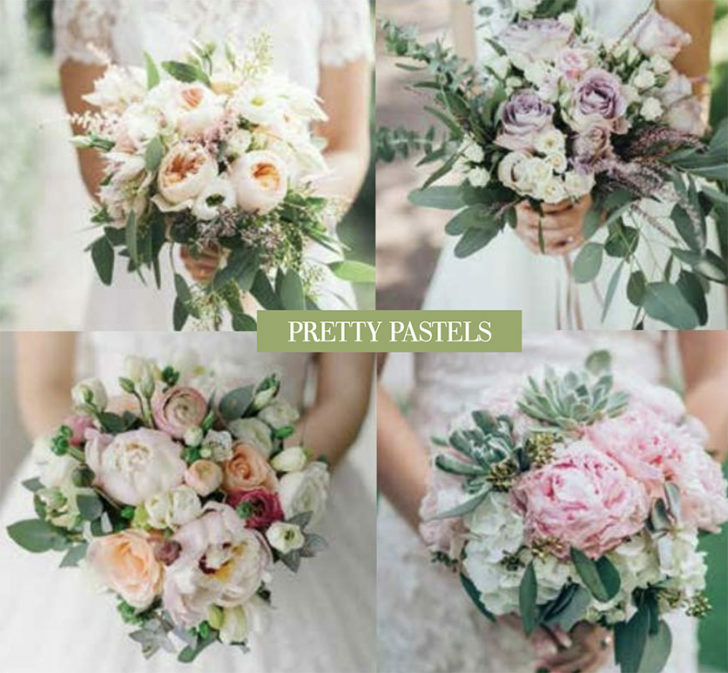 If you have a Spring or Summer wedding, then delicate soft pastel shades are perfect. 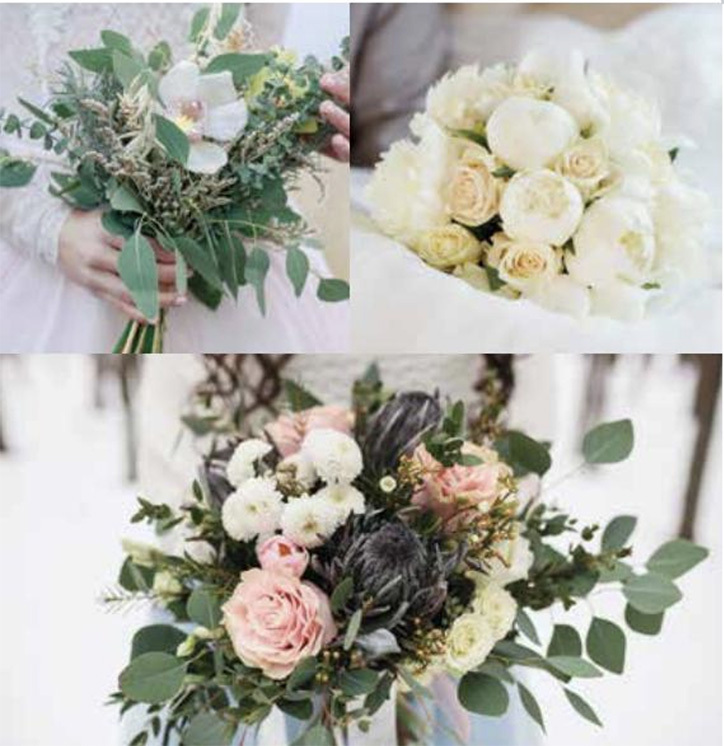 However, if you’re booking a Winter wedding, then deeper colours seem better suited to the season, although some brides opt for Winter white, champagne or pale blue blooms. Likewise, Autumn bouquets conjure up thoughts of seasonal rich shades with couples opting for burgundies, navy blues and burnt oranges. At the beginning of your search for the perfect flowers, set a budget and stick to it. So that a florist can plan your wedding flowers to perfection, it’s a good idea to give several months noticed ahead of the big day. With some florists being booked up a year or more in advance, it’s a good idea to meet with your florist soon after your planning has begun.